Apart from chairing UCLB, David’s other interests in venture and social investment include chairing the Investment Committee of the Care & Wellbeing fund backed by Big Society Capital and Macmillan Cancer Care. 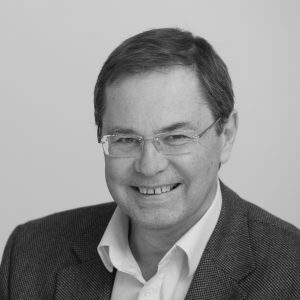 In the not for profit area, David has been a Trustee of the national charity Age UK since 2012 and is Chairman of its Strategic Finance Committee and chairman of its social enterprise holding company. Also David is a member of the board at Paragon Asra Housing Association where he chairs the development companies having previously chaired the investment committee. Past non-executive roles have included membership of Bridges Ventures’ Investment Committee, Chair of the Audit Committee of one of the Baronsmead family of listed venture capital trusts and chairing the finance committee at the University for Creative Arts.